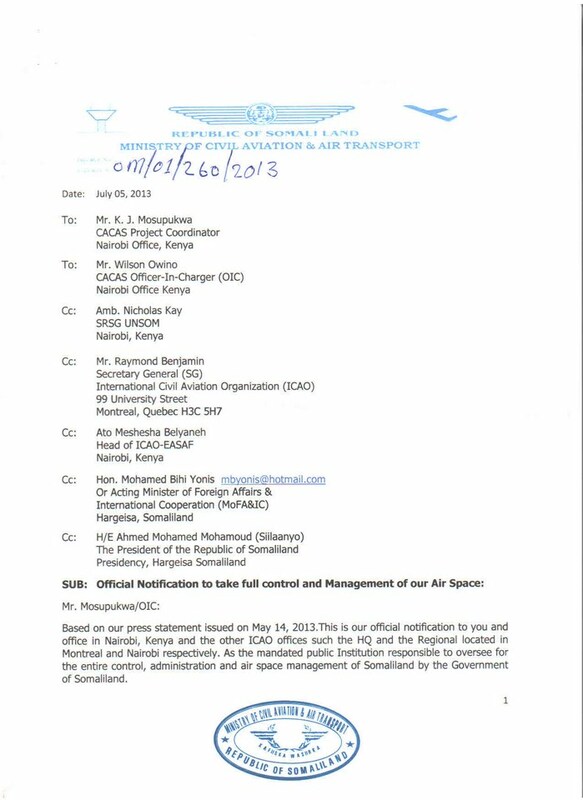 UNITED NATIONS, July 15 – When Somaliland and Somalia met in Turkey last week, the issue of the UN's unilateral grab of Somalialand's air space came up. On this basis, Free UN Coalition for Access member Mohamoud Walaaleye tells us, Somaliland's “Minister of Aviation, Mohamoud H. Abdi, today announced revoking their earlier suspension of UN planes reaching its airports. He's also provided us a copy of the July 5 suspension order, which we put online here. Meanwhile in Mogadishu, the UN and its UN Mine Action Service have stonewalled questions raised about UNMAS boss David Bax sharing information with US intelligence, and near total control of the compound, quid pro quos. Nicolas Kay told Inner City Press this is a question for New York. But the UN in New York, from UNMAS to UN Peacekeeping's Herve Ladsous, have refused to answer the question. UN people say this has all put them at risk. But so it goes. Watch this site.